MOSSER GLASS JADE JADEITE GREEN LARGE 8" CHRISTMAS TREE FIGURINE - Made in USA! 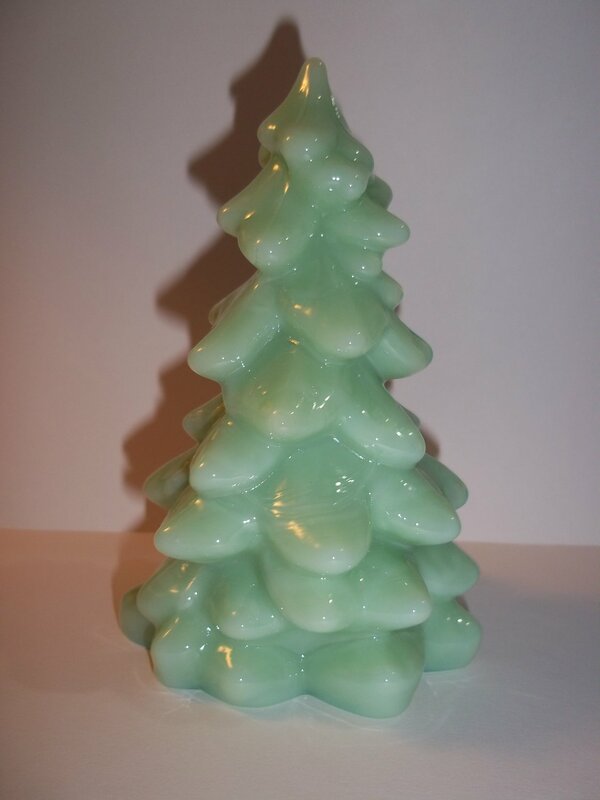 Offered here is a beautiful Christmas tree figurine made of classic jade or jadeite green glass. It was made by the Mosser Glass Company which is a small family run business making quality art glass in Cambridge, Ohio USA! It would make a lovely part of your Christmas decor or a great gift! It measures approximately 8" tall and is hollow inside so could be lighted within.